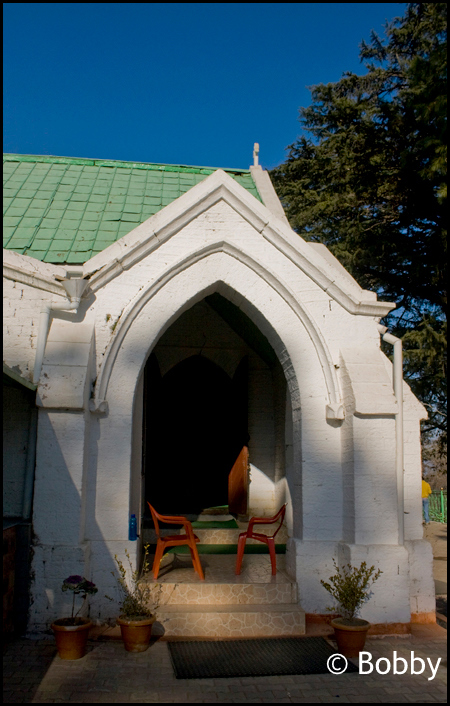 High Tea with the ‘Queen – Ranikhet | ...in search of that perfect world. 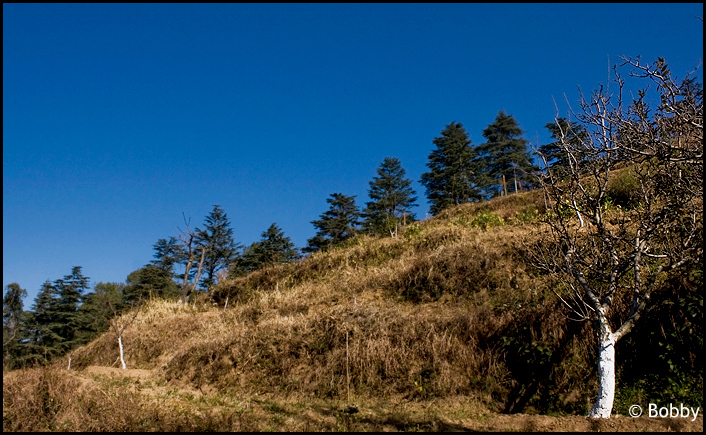 Ranikhet is a hill station and cantonment town in Almora district in the state of Uttarakhand. 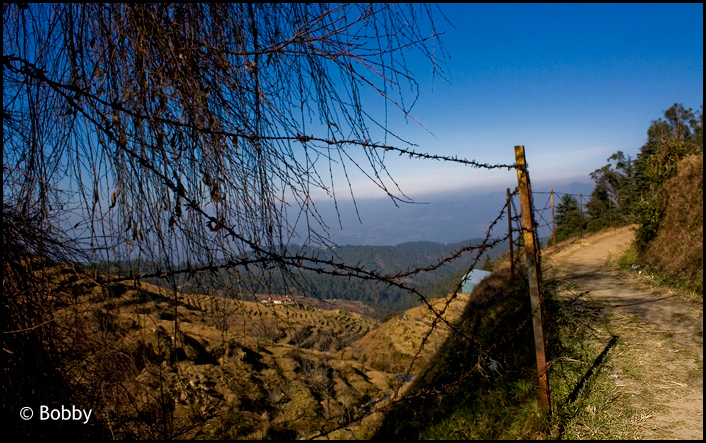 It is the home for the Kumaon Regiment (KRC) & Naga Regiment and is maintained by the Indian Army. 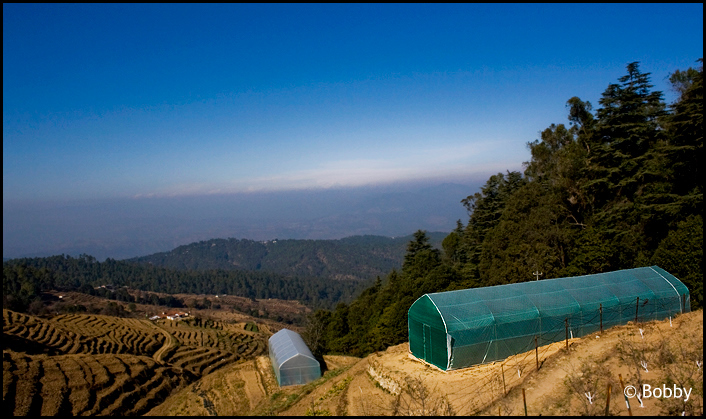 Ranikhet is at an altitude of 6,500 feet above sea level and within sight of the western peaks of the Himalayas. 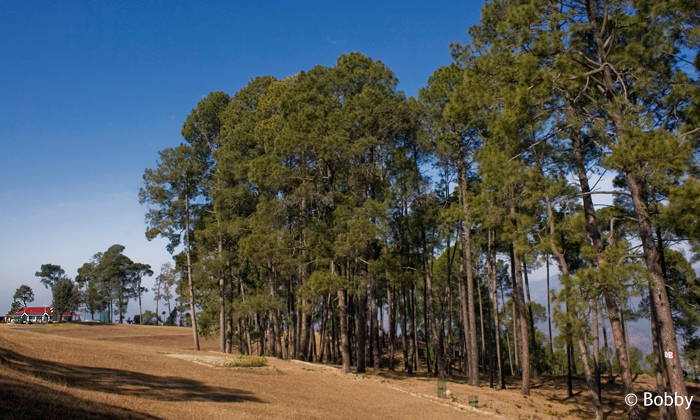 Ranikhet, which means Queen’s meadow in Hindi, gets its name from a local legend, which states that it was here, that Raja Sudhardev won the heart of his queen, Rani Padmini, who subsequently chose the area for her residence, giving it the name, Ranikhet, though no palace exists in the area. 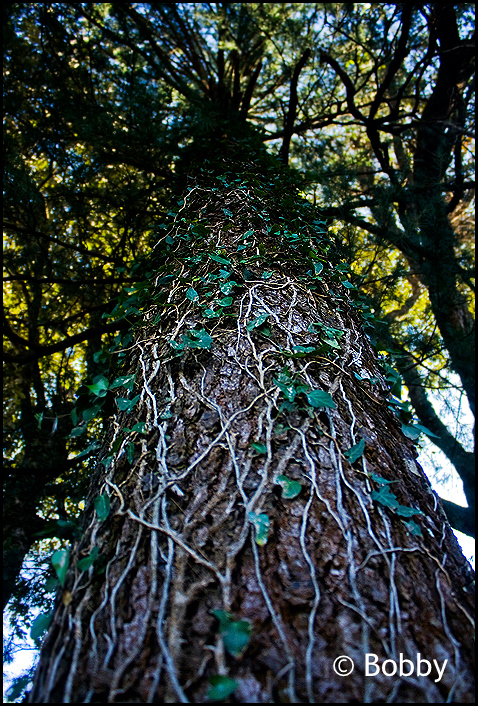 Part of the Ranikhet experience is in getting there. The road hugs the mountain side, so, for three odd hours after entering the hills, one is treated to vistas that made the hill-stations of Uttarakhand justly famous – thick, forested slopes of pines down which charge lively mountain-streams and, far below, pristine valleys carpeted with some wild and beautiful flowers. 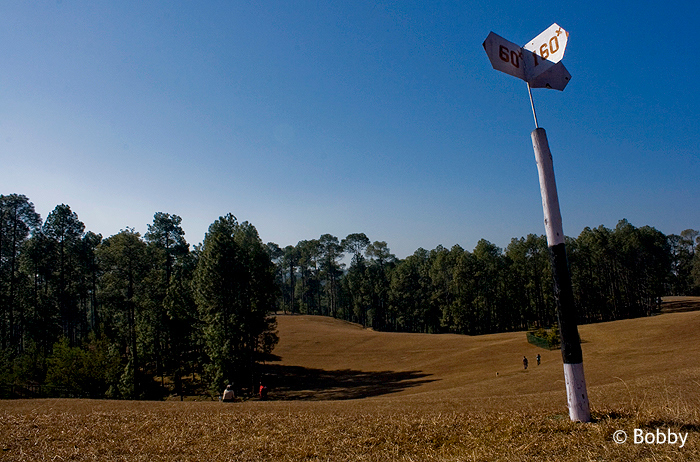 The 12-hole Golf-course, at Ranikhet. 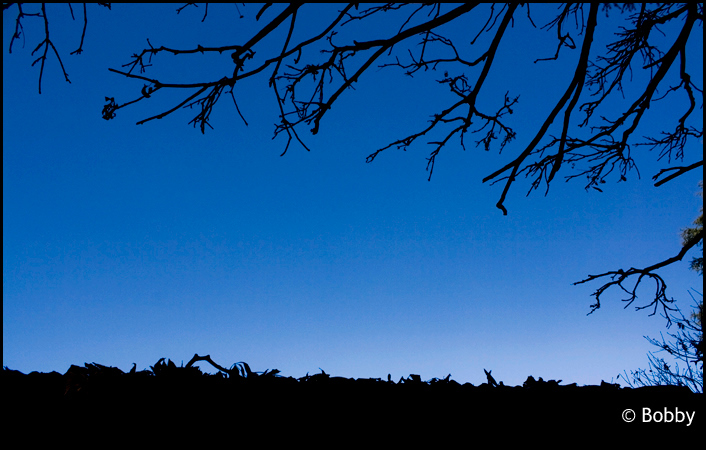 As one approaches Ranikhet, keep a watch to the left side of the road for the best view of all. The ancient, snow-clad mountains – abode of India’s Gods, invincible defenders of her plains – come into view. 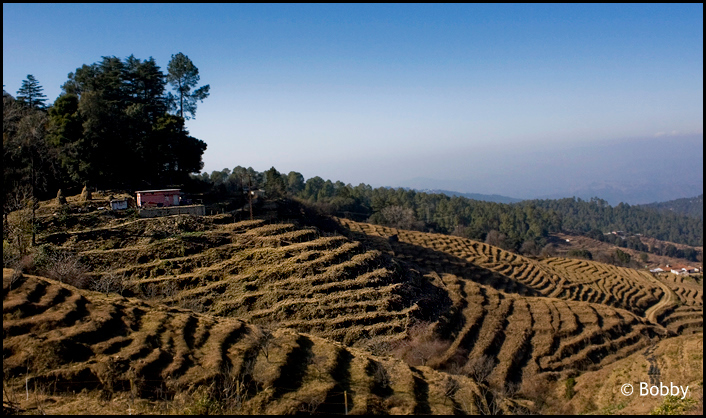 No wonder then, unspoiled Ranikhet is the favored destination of exhausted urbanites yearning to breathe in the fresh, invigorating mountain air. 2 right turns and after Tarikhet comes Ranikhet. Now Ranikhet’s claim to fame has been the cantonment, but once you get over the sheer peace and amazing beauty of the place there are other things to see. 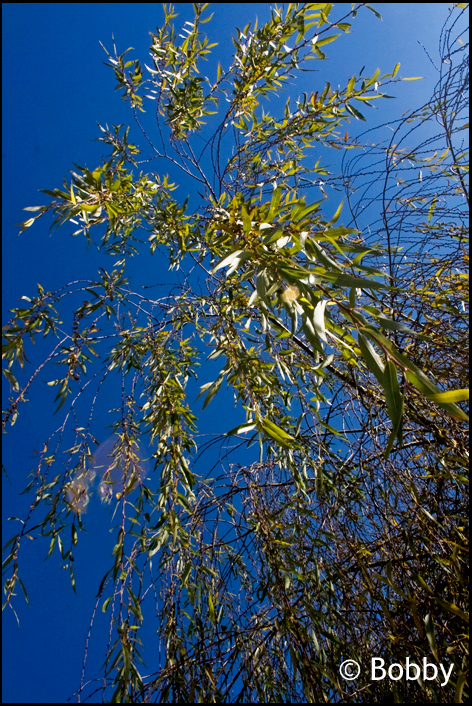 There’s the Golf course and in spring the Chaubatia Gardens are not to be missed. Shopping and some good old learning for the kids at the Tweed Factory – great stuff very reasonable. I wanted to go ahead towards Almora and if possible, to Munsiyari since I got to know that the place (Musiyari) had received some good snow-fall a couple of days back and it’s all white there! But, unfortunately, because of time-constraints, I could not. However, Ranikhet did not disappoint me at all. Make it a point to explore the place on foot because I truly believe the best possible way to find “new” and unexplored places within even a small hill-station like Ranikhet is on foot, but you need some time for that, ofcourse. The market/ bus-stop is avoidale. Although, I had to stay at one of the hotels in the market, but I truly desist staying or even visiting such market-places of hill-stations. They are loud, filled with local traffic, and tourists alike and are very “alive”. I don’t like such markets, and hence, as soon as I took a room in an hotel, I dumped my bags and took my camera equipment and went out to explore. Though all provisions will come from there and there is some really reasonable lodging there too, but the place is purely avoidable. On the contrary, try and stay at the “Mall” where there are a few hotels. Although, a triffle expensive, but the “Mall” is the place to stay. It sounds as if it would be full of traffic and tourists, but believe you me, it is one of the most quietest places in the whole of Ranikhet! I spent a solid 3-4 hours just exploring this place on my own. 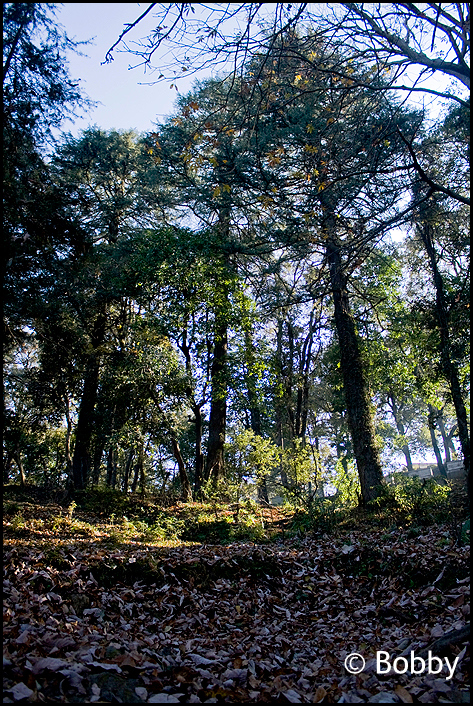 One of the many jungle trails in Ranikhet. 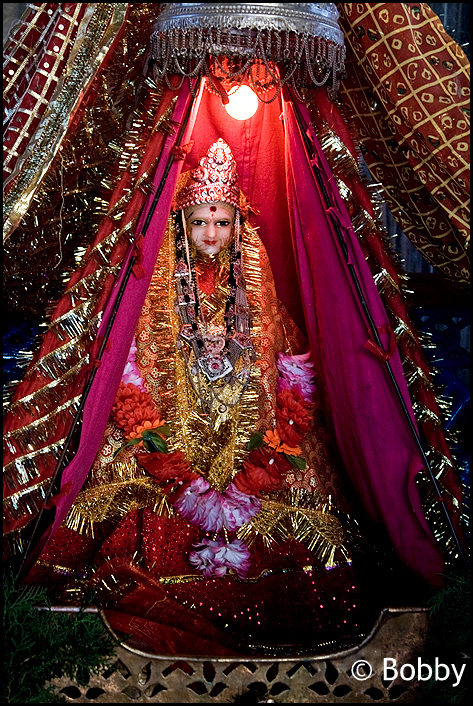 Just ahead are the villages of Dwarsu, with a beautiful Mahakali temple, the local school and some good eateries. You can take this road on to Almora on the way back, but since I was running late and headed back the way we came. By the way, when here you must try the sweets the region is famous for – the ‘Baal Mithai’ and the ‘Singori’. Bal Mithai is really really sweet, made from condensed milk and coated in little sugar balls (yes calories bomb)!! Singori is the one I like though. Its again milk based, but less sweet and comes uniquely wrapped in leaf. the leaf and the coal fire smoke over which the milk was thickened gives this sweet a wonderful aroma. 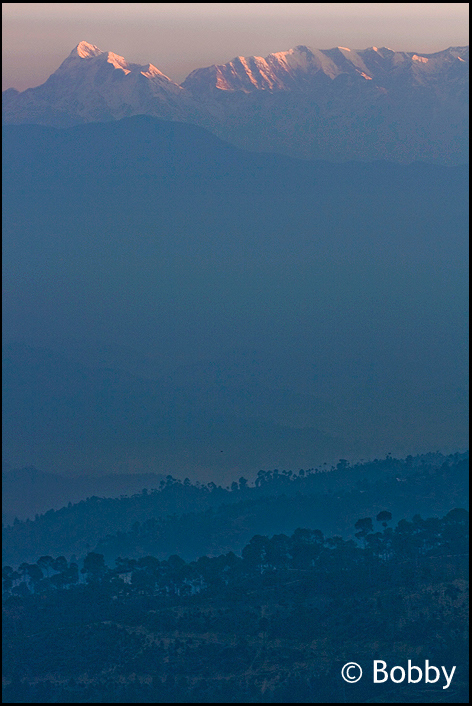 As evening fell over the small town of Ranikhet, the hillside changed colours from dark, blue, almost polarized sky(!!) to rich orange. Soon the only sounds on the road are the chorus of crickets. It was absolutely magnificient. The next morning I woke up to some real real chilly weather. I opened the windows and door of my room and I stepped out to be greeted by the 360 degree view of the Himalyan peaks and some real COLD winds. I could also see frost and a thin sheet of ice on the wind-shields of the cars parked at the road-side. This only means that snowfall is not far! 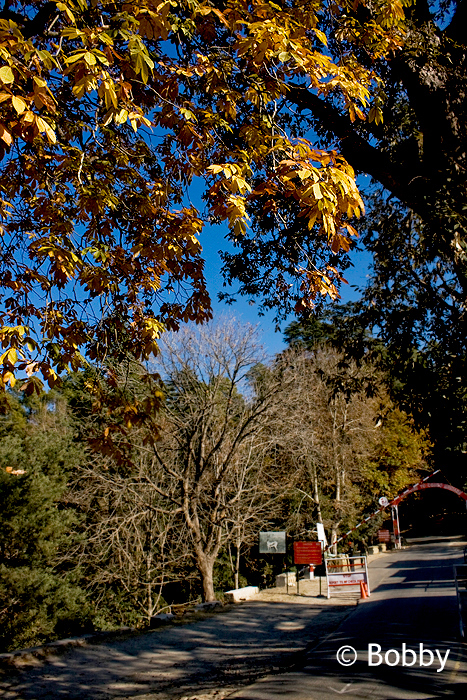 Ranikhet - the road leading to the Cantonment. With a heavy heart but with a promise in my heart to next time not only visit the place again, but to move forward towards much more prettier places like Kausani and Munsiyari, I bid farewell to Ranikhet. 360° - The wonderful snow-clad peaks visible from Ranikhet. Such weekends are hard to come-by. Although, I do travel a fair bit to various places, but this weekend will always be a bit special for me, as never have I been to such a quiet and serene place which stole my heart in an instant. It is a must visit for every traveler who is keen to explore te innards of our very own country. Amazing pics with beautiful words, your words and pictures are a real treat for eyes who crave for outing like this…. Great Going Keep it UP! Thanks Shivanshu, for the comment. Thanks Psycho, for taking time out to visit the blog and comment. Really Really Really love the photos. Thanks Rajan, I am glad you liked the pictures. Lovely pics. I studied there in 1979, Mission Inter College. My father was Cantonment Executive Officer. Would love to be there again. Thanks for refreshing memories!